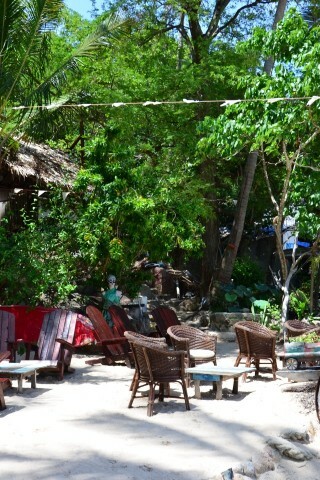 Ko Tao’s main ferry hub boasts the island’s second largest selection of food and drink, after Sairee. Thai food that hasn’t been watered down for Western tastes is hard to come by, but you’ll find no shortage of international food along with a fistful of pubs.... Read our full review of Mae Haad. While much of Sairee Beach is lined with beach bars, cafes and restaurants, the bulk of the scene is towards the centre of the beach, where the beachside pathway takes a hard right just behind Silver Sand Resort. From here it runs back off the beach till it hits the main road forming a four way intersection which is the heart of Sairee... Read our full review of Sairee Beach. 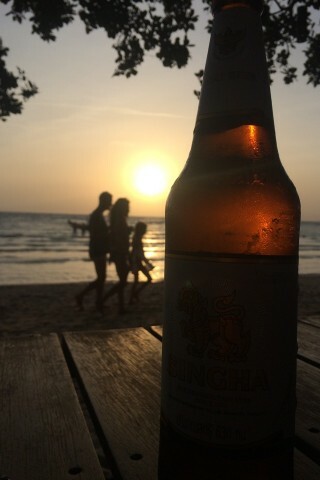 Ko Tao’s third longest beach offers several relaxing sea-view restaurants along with a solid clutch of local-style options on the inland road through Chalok Ban Kao... Read our full review of Chalok Ban Kao.